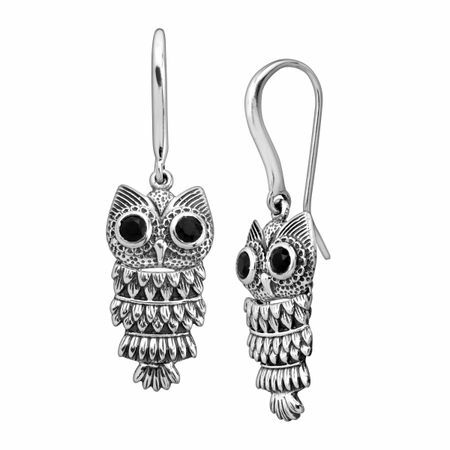 Take a flight on the wild side with these owl drops. These flexible earrings feature natural black onyx stones as each eye and etched sterling silver details in the feathers. Earrings measure 1 3/4 by 1/2 inches and feature French wire back findings.